For the preparation of Milk kefir. 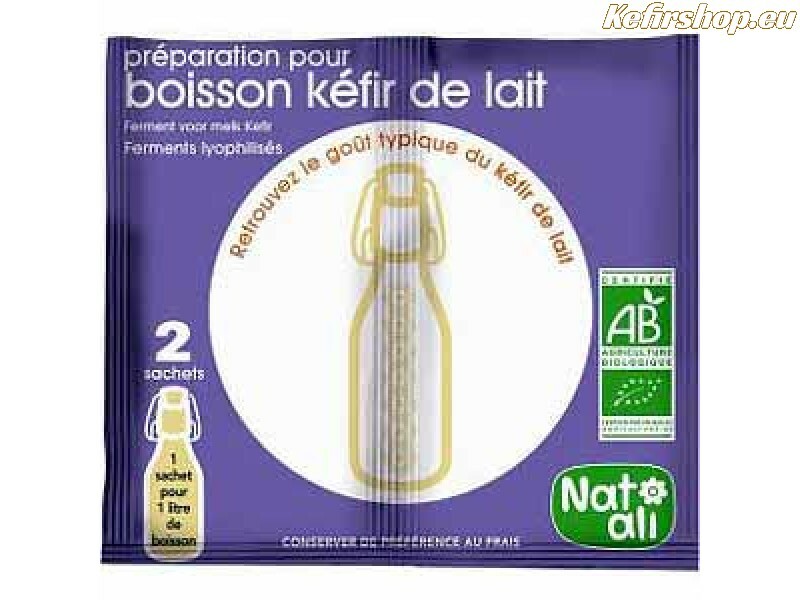 2 sachets of freeze-dried milk kefir starter, each sachet 6g. 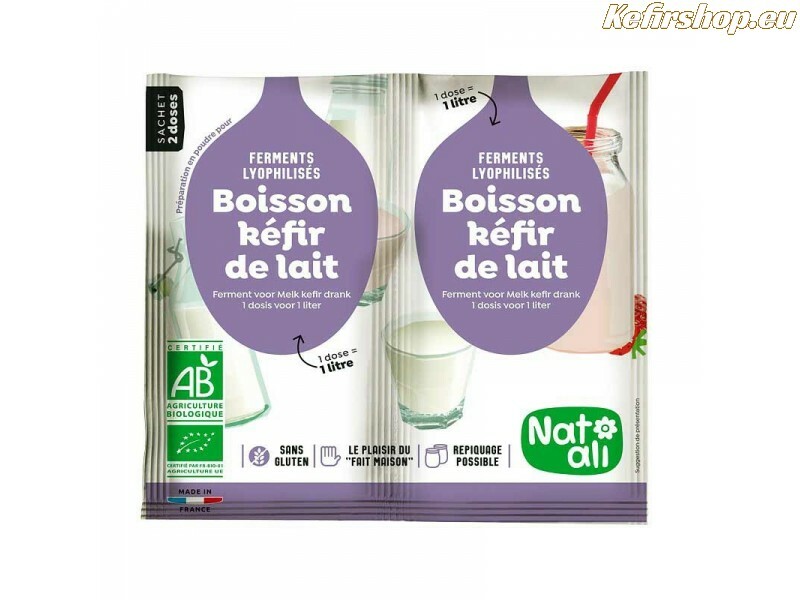 Add the contents of 1 sachet to 1 liter of sterilized milk and the next day your kefir beverage is ready to drink. Take a few tablespoons on your kefir preparation and the next day you'll have a new batch beverage. Instructions on the sachet in Dutch and French. The beverage from the Caucasus region, kefir is a sparkling beverage made with milk. The milk is fermented by the action of bacteria and yeasts. By acting on the intestinal microflora, bacteria and yeast in kefir contribute to the welfare digestion. The double dose sachet provides 2 liters of milk kefir beverage. Make your own probiotic beverages with Kefir starter cultures. Dissolve the kefir ferment in 2 tablespoons of milk and gradually add the entire gallon of milk. Pour everything into a jar that can be sealed. Close the jar and leave to ferment for about 24 hours at room temperature. If the kefir begins to thicken, place the jat in the refrigerator to cool down. To get thinner beverage, shake the jar a few times. You can also inoculate the resulting kefir beverage, take a few tablespoons on your preparation and add it to 1 liter of milk. Stir it well and after 24 hours of fermentation you have another delicious kefir beverage. Under hygienic conditions and proper use you can inoculate upto 5 times. Ingredients : Milk powder (*), Lactococcus lactis, Leuconostoc, Streptococcus thermophilus, Lactobacillus kefir yeast. 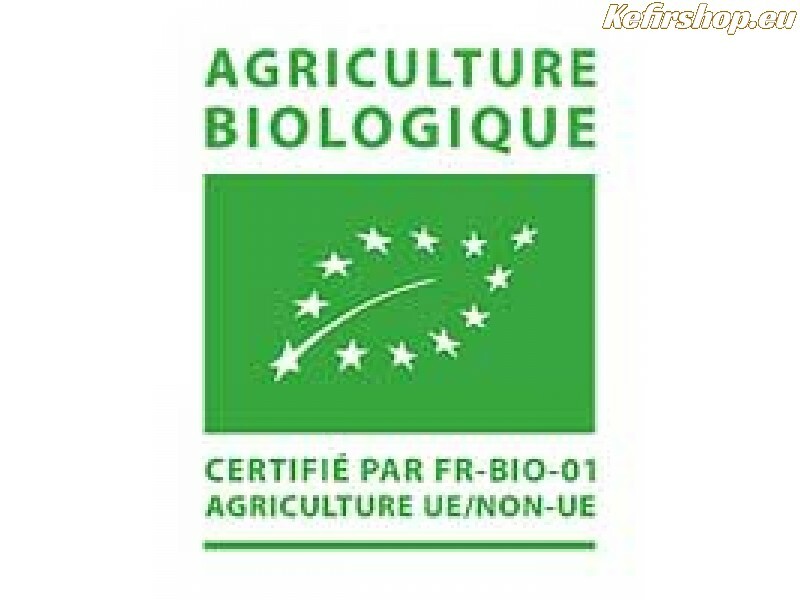 * Products from organic farming.